SOUTH Australia has announced the squad it will take to the National AFLW Under 18 Championships, with 24 players confirmed in the team yesterday. In the National Championships, South Australia combines with Northern Territory to form the Central Allies. The announcement has followed on from that of Western Australia and Victoria’s two sides. Of the 24 player squad, 17 had made debuts in the South Australian National Football League (SANFL) Statewide Super Women’s League, with five of them – Nikki Gore, Jaslynne Smith, Katelyn Rosenzweig, Esther Boles and Rachelle Martin – going one step further and making the league’s Team of the Year. Looking across the squad, only half of the team is eligible to be drafted at the end of the 2018, with 12 players – including two Under 16 players in Abbie Ballard and Teah Charlton – eligible for selection in next year’s squad. West Adelaide and South Adelaide dominate the squad, making up almost half of the team with six and five representatives respectively. Woodville-West Torrens and North Adelaide have three representatives, Central District, Norwood and Sturt each have two representatives, while Madisyn Freeman is the sole Glenelg member. Bill Economou will coach the team, with Tess Baxter, Craig Lum and Rick Watts named as his assistants. 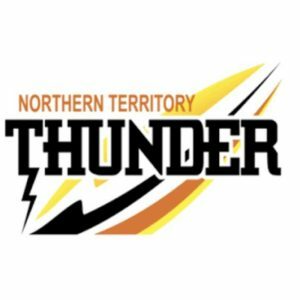 South Australia will play two practice games against Northern Territory on Friday, May 25 and Sunday, May 27 at TIO Stadium in Darwin ahead of the National AFLW Under 18 Championships in July. For more information about the squad and to hear from SANFL Female Talent Manager Robbie Neill head to the SANFL website.